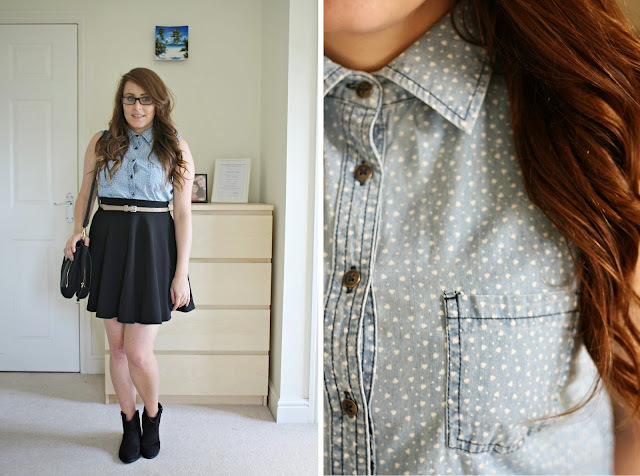 I was recently asked by F&F Clothing to take part in the denim challenge. The task was to put together an outfit, based around a denim item. I do think that people overlook the clothing departments in supermarkets. But in actual fact if you take the time to have a browse you can come out with some really nice pieces! I did originally want to post about the range of jeans F&F have, however being so out of proportion waist to leg wise, the jeans just didn't fit quite right. Determined to find something that would work, I came across the denim heart print shirt. I have a couple of denim shirts but no sleeveless styles, or printed for that matter. 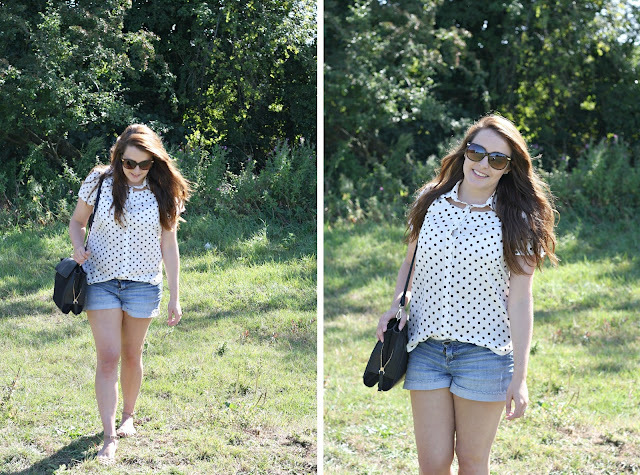 The tiny hearts are a cute addition to the shirt, from a distance they look like polka dots! I paired it with a black skater skirt. This is a staple that I think everyone should have in their wardrobe. I love that this one is slightly textured, so it's a little different. 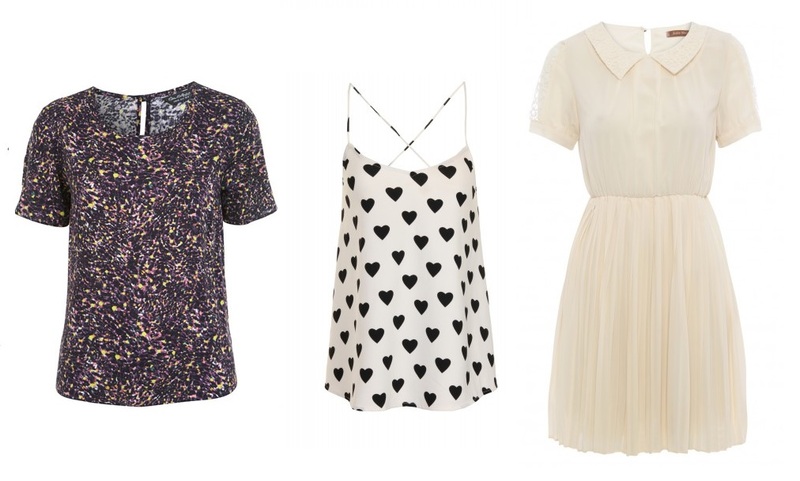 They can be dressed up for a night out, or worn more casually like I have above. My favourite item of this outfit has to be the boots though. They are such a bargain at £19.50 and also come in a taupe colour (not gonna lie, I was tempted to get both pairs!) They are really comfortable and can be worn with so many things. I'd been on the hunt for some new black ankle boots, as my trusty New Look ones had seen better days, these ticked all the boxes. I did get myself another pair of ankle boots for Autumn/Winter but I'll save those for a different post! I was fortunate enough to get a few other bits with the voucher I was given, so keep an eye out for those in future posts! Do you ever look at the clothing departments in supermarkets? If you haven't, would you now? It was payday yesterday, it wont be long till I've made a few cheeky purchases online. I cant help it, money burns a hole in my pocket! Not that I need a new coat at all, (I have two in my wardrobe plus numerous leather jackets). I cant help but lust after the biker style jackets that are around in the shops at the moment, most of the ones Ive seen are mainly black, so i like how this one is a little different from the grey. I want to get a few new skater dresses for work. They are so easy to style and perfect to just throw on when youre in a rush each morning! I think theres a similar dress to this one in Primark, however it doesnt have the sheer panel at the bottom which i think is a nice little feature. I spotted the polar bear jumper on the dorothy perkins website and just couldnt resist featuring it. It's just so cute and not too in your face for a novelty jumper! What have you got your eye on recently? 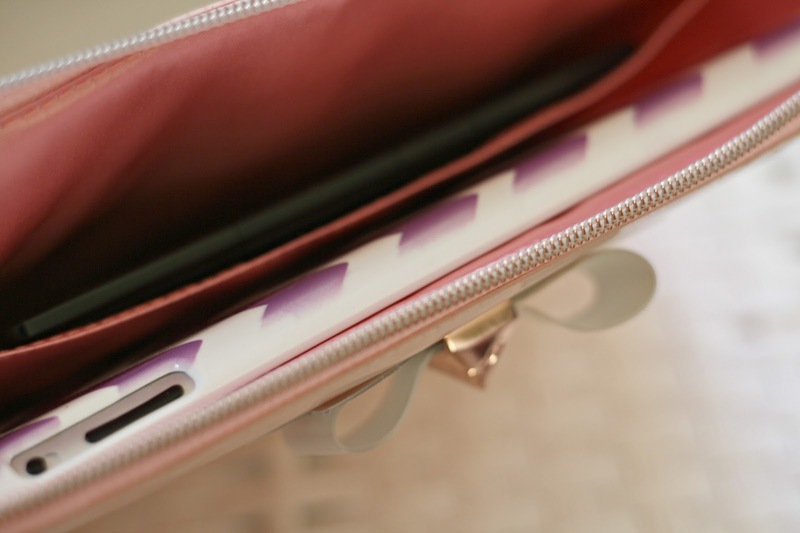 So in my 3 years of blogging I have never done a what's in my bag post. Which is quite weird because they are are honestly my favourite kinds of posts to read. 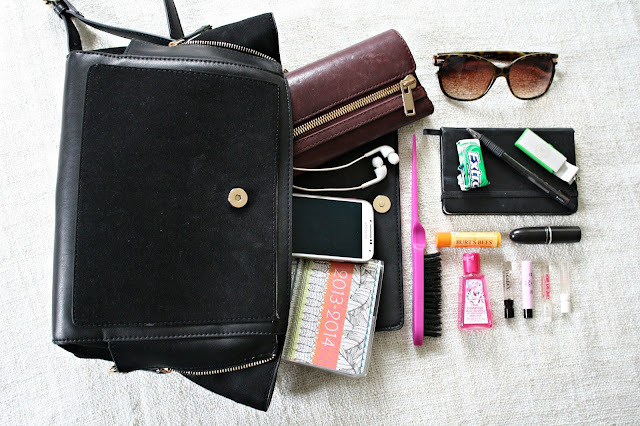 I am a nosey bugger and love seeing what people lug around with them! I am currently using my Zara messenger handbag, it's the perfect bag for when I don't want to carry a lot of stuff. When I use my MK bag, I literally fill it with so much stuff that my arm is crippled! Having a smaller bag makes me think a bit more carefully about what I carry with me, and I am less tempted to just leave all my rubbish in it like receipts! Standard items that are always with me are my phone, I have a Samsung Galaxy S4. I've never had an I-phone and I don't think I ever will. I'm quite loyal to the Samsung family! My purse is from Kurt Geiger, I actually managed to get it for about £20 instead of the £120 it was meant to be! I had vouchers from a magazine plus discount codes for being a new customer! I love it when you combine giftcards and codes to get lots of money off! My mid year diary is from paperchase. I did have one that Charli bought me last Christmas, however I have no clue where it has disappeared to! At least I have this one for next year too though! I still carry my sunglasses in my bag because you never know, the sun might make an appearance again! These were just some fairly cheap ones I got in TKMaxx, I always get my sunglasses in TKmaxx because you know there's a chance others wont have the same! Just like a lot of other bloggers I carry a notebook with me, just to jot down ideas when they come to me...or just to write down my food shop list! Beauty wise I have my Denman backcombing brush, a selection of perfume samples (I have fair few thanks to beauty boxes!) I'm trying to actually use them up rather than have them sitting there doing nothing! A Mango Burts Bees lipbalm and my current 'go to' lipstick which is Mac's Rose Romance which I recently bought in a twitter sale! It is a limited edition shade so I'm afraid you cant buy it now! Finally I have my Bath & Body works hand sanitiser, I prefer a nice smelling one rather than the regular ones! So that's whats in my handbag at the moment. 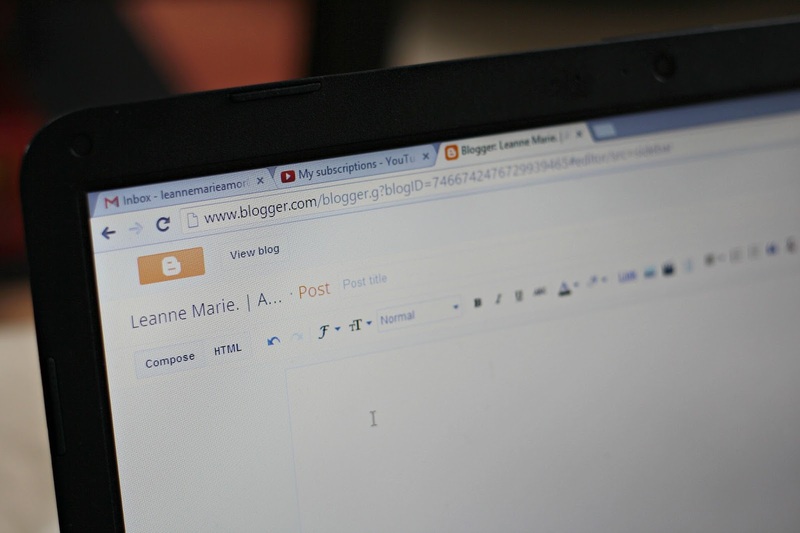 Have you written a similar post or maybe you've filmed a youtube video? Link it in the comments as I'd love to see! 1. 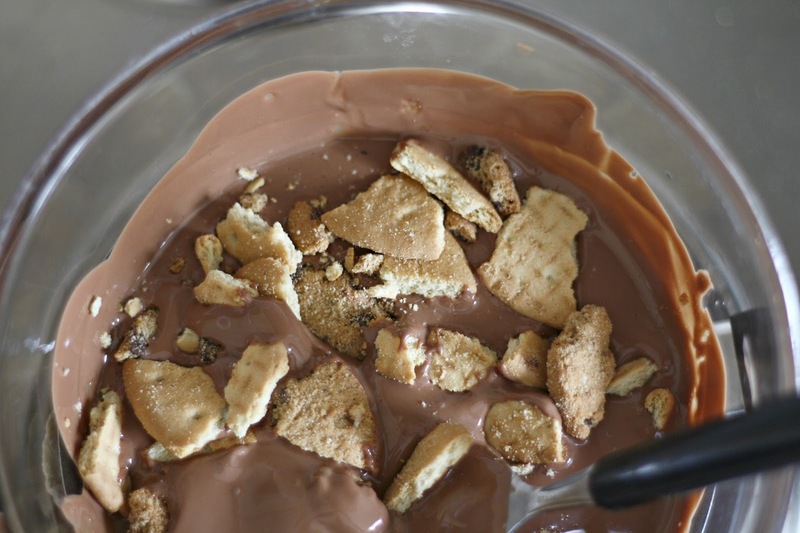 Take your chocolate and melt it. 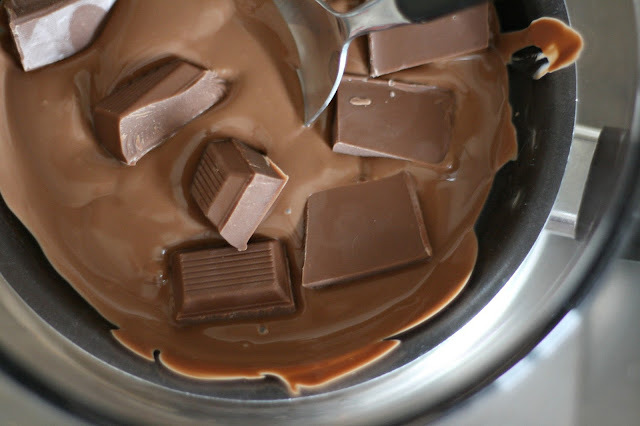 I break up the chocolate and put it in a glass boil on top of a saucepan of boiling water. I put this on a low heat so the water doesn't over spill! 2. 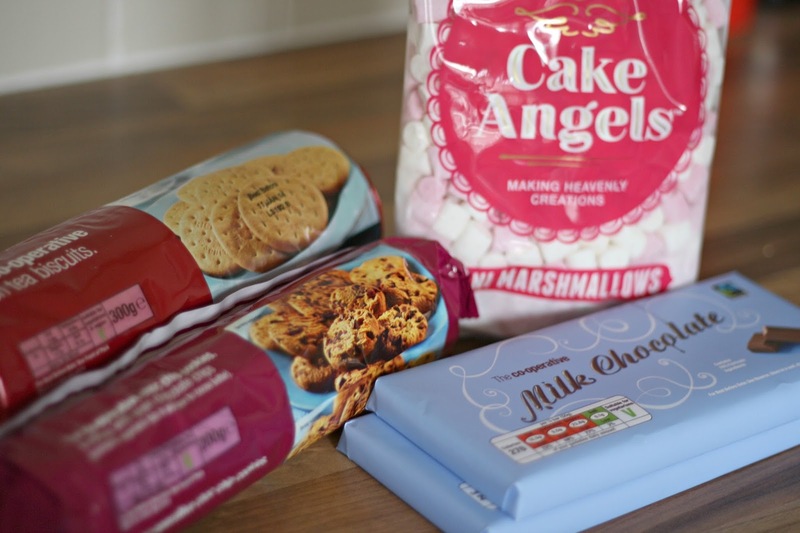 Grabbing your selection of biscuits, I opted for rich tea and choc chip cookies! 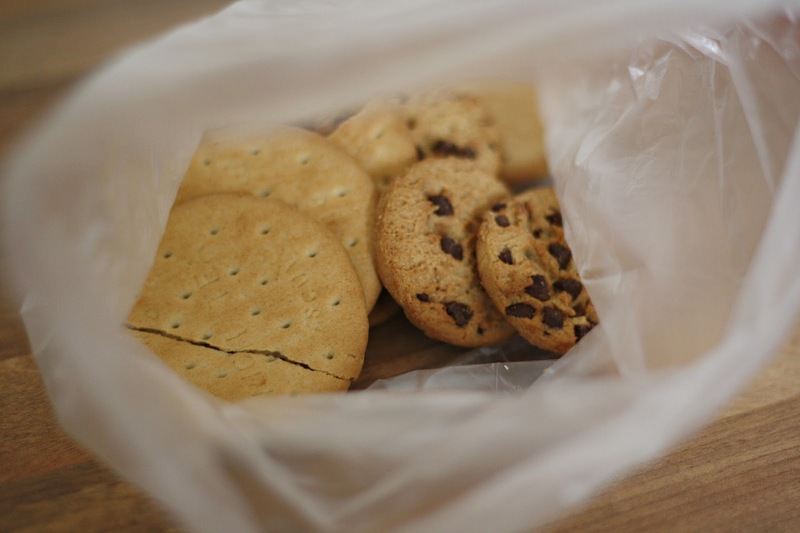 (pop them in a sandwich bag so you don't make a mess) Then using a rolling pin and break them all up. They don't have to be in tiny little pieces! Just a nice mixture of sizes! 3. 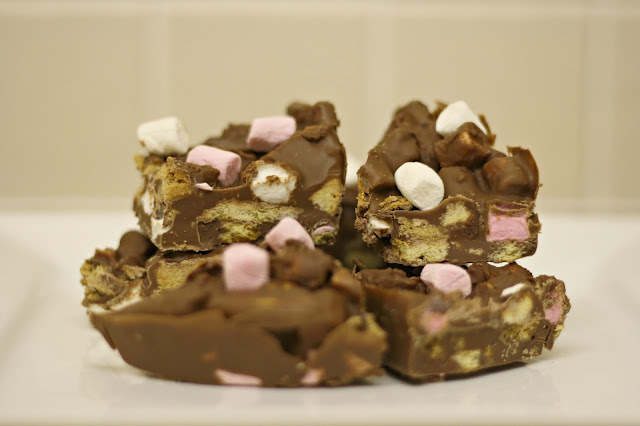 Add them to your melted chocolate and also add your marshmallows! Some people like to ad nuts or raisins but I don't like either so left them out! Mix it all up and whack in a tin of some sorts, & pop into the fridge to set! 4. After a few hours, the chocolate should have hardened and it will be ready for you to take out and cut up into individual portions! Best served with a nice cold glass of milk! 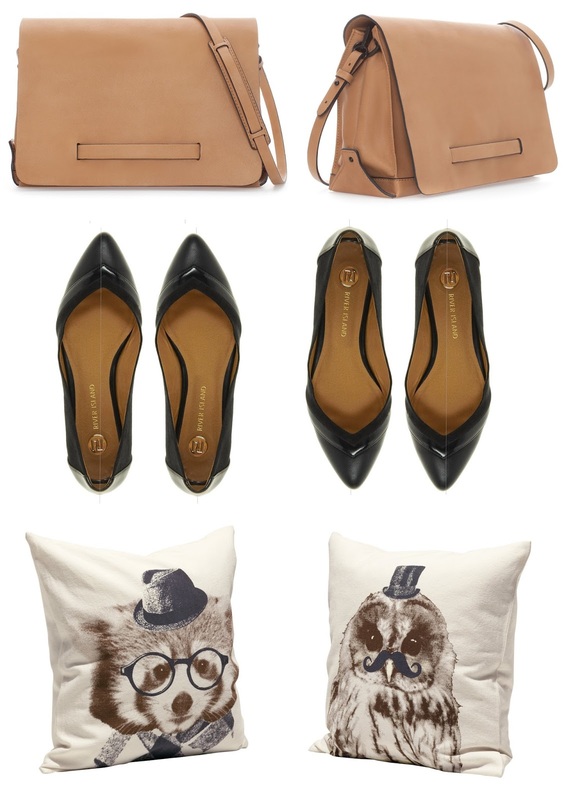 Hurry up payday so I can purchase these lovely items! Tom's Takeover : September Playlist / Band of the month. Every couple of weeks a CD gets passed my way with a new playlist of songs to listen to. These playlists are put together by Tom (My husband) Being a big music fan he is always on the look out for new bands to check out, or songs that have slipped under the mainstream radar. As I have been trying to incorporate a few more lifestyle posts on my blog, I figured it was only fair to let Tom have a little go at blogging himself. Well for years and years I’ve been interested in new music and new bands. My idea of a perfect festival is hanging around the smaller stages catching glimpses of the acts who one day may grace our radio stations and make it big in the years to come. Some of my tips have made it (ie seeing Bloc Party in a pub in Reading years ago) whilst some have fallen some way short (anyone remember Viva Brother ? – thought not). But this is a hobby of mine; trawling the internet for new acts, getting recommendations from friends, as well as looking out for new releases of some of my favourite bands. For a while I have wanted to contribute something to Leanne’s blog which is becoming ever more successful so I thought why not this. What follows is a number of songs from new acts as well as established artists which I am currently listening to, including a ‘Band of the Month’ style feature. You can catch the following ten bands on tour this autumn in the UK and there are one or two here that I definitely recommend checking out. Depending on how well this goes down (and if the wife will let me!) I will contribute this on a monthly basis and will throw in a golden oldie which I guarantee will brighten up the toughest of blogging days. Being married to Leanne, I know frequent these can be…. Moreover, if anyone particularly likes the following, I have plenty more suggestions so feel free to ask. 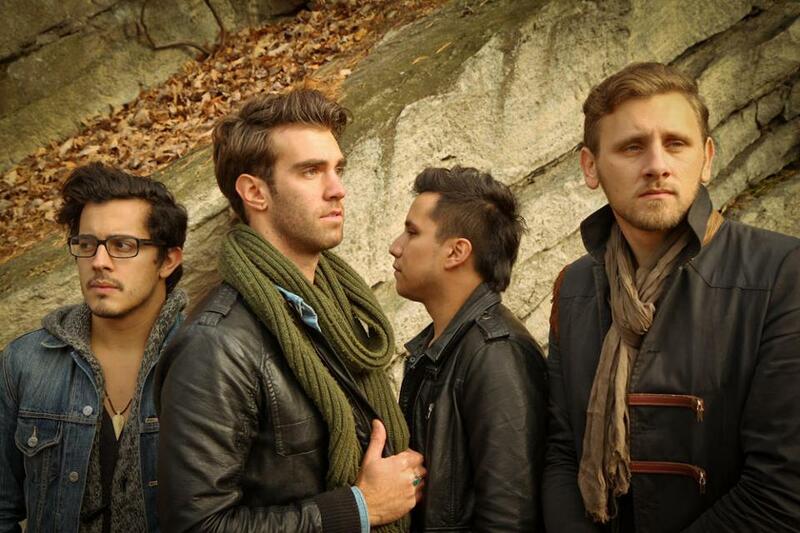 American Authors are an indie rock band from Brooklyn New York who are about to make it big over here in the UK. For those of you who don't know their music, American Authors deliver a nice blend of alternative indie-folk which will get your feet tapping. Their latest single, 'Believers', is full of positivity and encapsulates the last bit of summer. You may have heard snippets of their first single, 'Best Day Of My Life', on a recent TV advert; I challenge you to not want to sing along to the chorus! Their self titled 5 song debut EP has just been released on iTunes - go and download it now! I am hoping they announce a UK tour soon and when they do, make sure you go and check them out because these guys are going to have a very successful 2014. 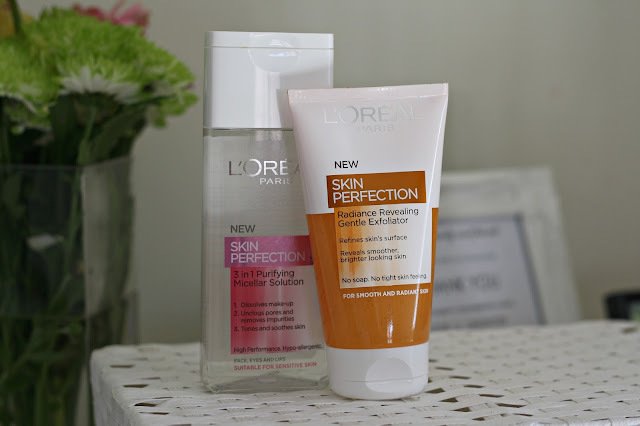 I admit that I have a fair few moisturising creams, lotions and butters gracing my beauty collection. It's just that one product that I seem to stock up on, you will always need a good body moisturiser so why not have a decent stash to full back on?! Surely I am not alone with this way of thinking. I've dabbled with many different brands in the past however I had never tried anything by REN. 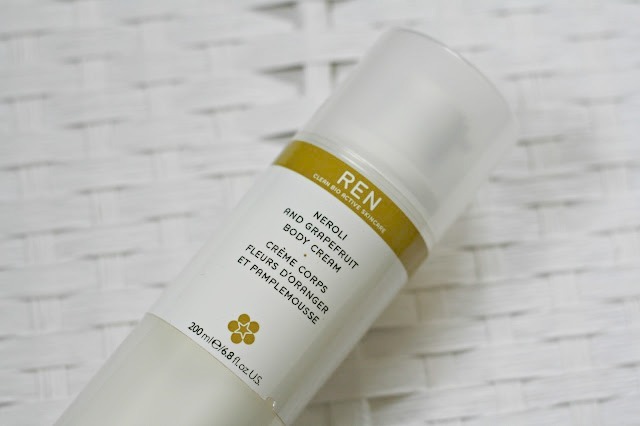 You hear a lot about their skincare range but not so much their body care, so when I was offered the chance to try the REN Neroli & Grapefruit body cream* I was intrigued to see if I could sing RENs praises when it came to moisturising. Firstly I love the packaging of the product. It has a pump dispenser which I prefer over tubes and pots, its just less messy! The product itself is housed in a bag within the tube, the more you use it, you can see the bag squeezing out the product, which is great to indicate as to when you need to buy a back up! It's so frustrating when you cant see how much product you have left! REN describe this body cream as 'fresh, light & easily absorbed' and I would agree on all 3 accounts. The scent is really freshing. Nothing like I usually use, I gravitate towards vanilla scents, so it made a nice change from the norm. It really is a very lightweight formula, I think it would be best described as a lotion rather than a cream. A cream to me is thicker in consistency, this however seems to melt into your skin instantly, and then feels like liquid as you rub it in. Such a nice feeling! You don't even have to wait around for it to 'dry' before getting dressed! Always a bonus. After the first time I used the REN Neroli & Grapefruit body cream my skin felt very soft and moisturised, this was due to the shea butter and Jojoba Oil within the cream, that helps keeps the skin nourished. With continued use my skin felt amazing. I'm actually really sad it is running out! The REN Neroli & Grapefruit body cream retails for £18.00, which compared to a lot of the other body moisturisers I have in my stash its breaking the bank. However, I do personally think it is worth it because I liked how it worked for me. It smells lovely, isn't greasy, sinks in very quickly and leaves my skin feeling very nourished! So I would use my own money to purchase this body cream, however for the time being I've got so many others sat in my stash thanks to birthday and Christmas gifts, I'll be set up for a while before I need any more! Have you tried anything from the REN body care range? Would there be anything you would recommend? Avaliable from The yankee candle website | Lily Flame website. Gracing the background of many photographs, or flickering away on a vanity in a youtube video, there's no denying that us bloggers/vloggers are a big fan of candles. With such a variety of scents, we really are spoilt for choice. 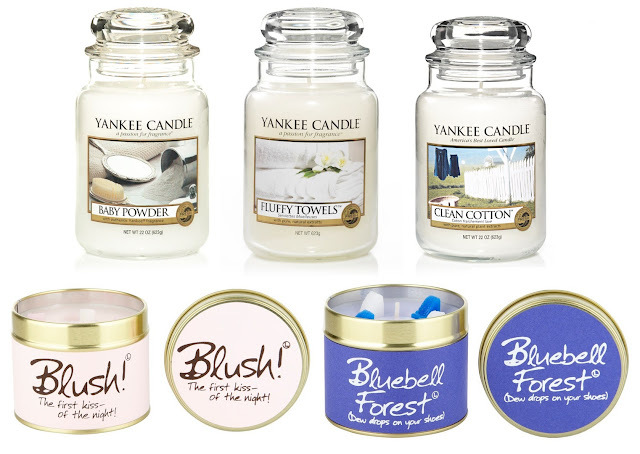 My favourites have to be Yankee Candles though. I always opt for the fresh scents as shown above! Clean Cotton being my absolute favourite! With it getting colder, I feel its more acceptable having candles burning around your home! It always felt a little alien to do it during summer, even though it meant that the flat was smelling lovely! Another brand I have been eyeing up recently though are the Lily Flame candles. I saw these featured a lot 'back in the day' when I first started blogging and ever since I've wanted to give them a try! 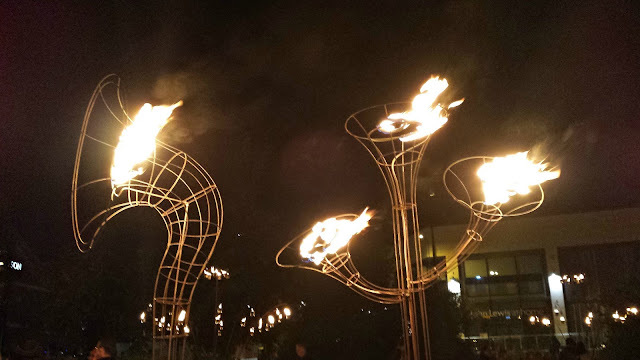 I do admit though, they look too pretty to burn! I love the extra bits of wax on the surface of the candle sticking out. The packaging for these particular candles are aesthetically pleasing, they would definitely be something I would happily give as a gift! Is it wrong to be thinking about gifts at this time of year... you know... for Christmas?! I want to be really organised this year so I'm constantly looking around for ideas to give members of my family. I know my sister is looking for a new watch, and as much as she would love to get a MK one I don't think my budget will stretch to that! I'd definitely be in the good books if I was able to pull that off! My other sister will be happy with some gig tickets of some sort and my mum something a bit special like Swarovski jewellery. It's always nice to treat your mum! I find shopping for my dad really hard, last year I got him a magazine subscription. I might do the same again this year! It seemed to go down well before! What are your favourite candles to burn, have you thought about christmas gifts yet? 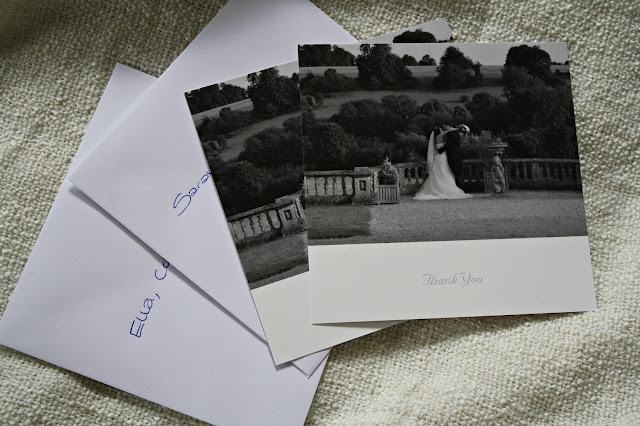 In the Home : Some Snippets. The weekend before last I hoped on a train and made my way to London to visit my friend Shelley (Read her blog here) Shelly recently moved to London due to work and I was her first visitor! I love going to the zoo, however London Zoo was one I hadn't visited, so it was settled that we would go there for the day. After a train journey that lasted a bit longer than planned, Shelley met me at Paddington and we hopped on the tube along to Regents park. If you didn't know the zoo is located right in Regents park, so we took a leisurely stroll through the park until we got to the entrance. Commenting as we went on the amount of people out jogging and how they made us feel very unfit and lazy! There were even groups of people doing work outs with personal trainers! I thought that sort of thing only happened in films like in bridesmaids! 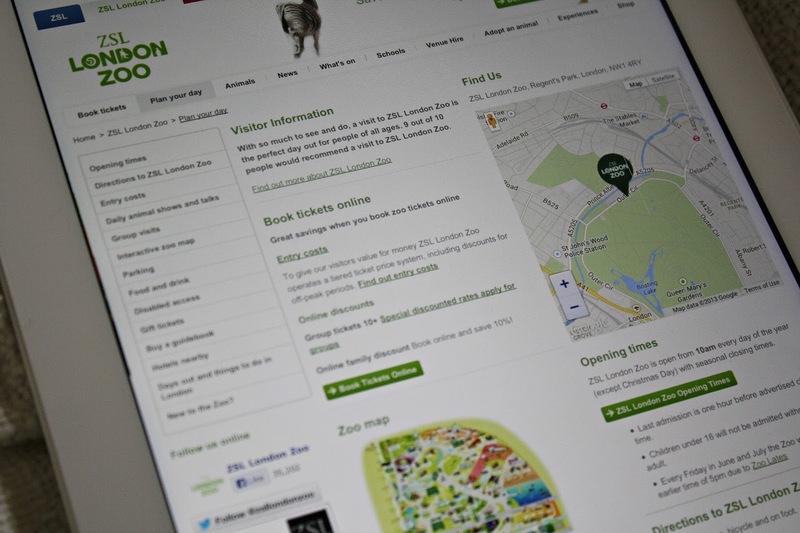 If you travel by train to London you are able to use their 2 for 1 offer on the local attractions. 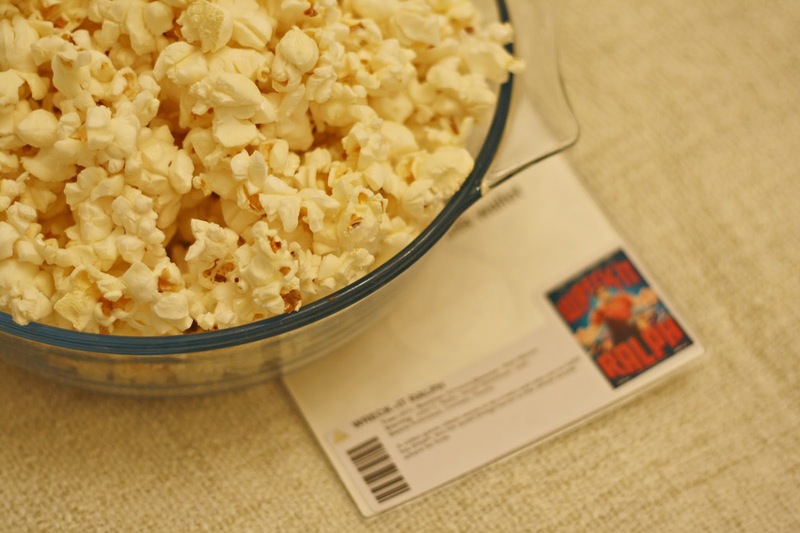 Do make sure you get a voucher before you get there though! We didn't and then had to franticly get it on our phones while we were stood at the ticket office! Luckily the girl working there (Zoe) was patient with us! It works out that you pay about £12 to get in, which isn't too bad at all. It took us a few hours to walk around the entire zoo, which surprised me because for some reason I thought the zoo was going to be really big. That being said there were a large range of animals for us to see, from big cats, monkeys, penguins, reptiles and fish. Being that I freak out if a moth flies anywhere near me, I was keen to go into the butterfly house. Even though all these pretty butterflies were flying around I was still screeching like the loser I am terrified that one was going to fly into my face! A guy who was behind us decided it would be funny to tell me one of the larger butterflies was on my back!! Not cool man! Not cool! My favourite part of the zoo has to be the meercats. They are just so darn cute! The photograph above is Theodore. He became my friend...well he didn't, but he was the one that caught my eye. He was a little chubbier than the other meercats and was just sat there watching the world go by while the others ran around in the enclosure. He was adorable and I will have to go back to say hello again! Have you been to London Zoo before? Ah Pinterest, procrastination at it's finest. Stylish outfits, perfect makeup, creative hairstyles and dreamy weddings. Multiple hours in the day can be lost to this website. 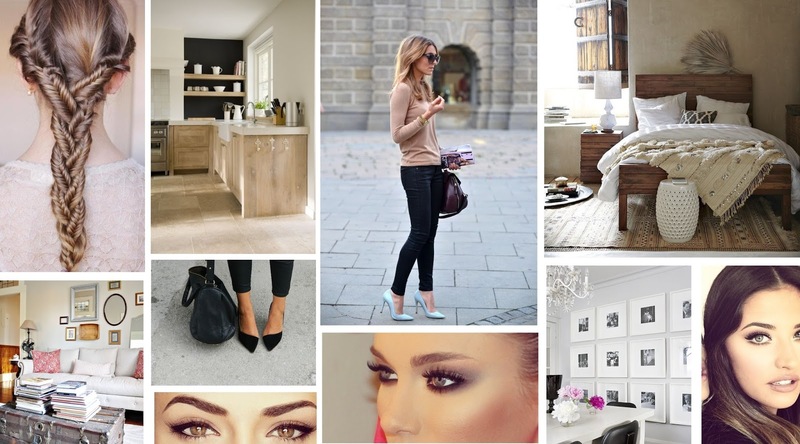 Pinning and repinning images of inspiration! Recently I've found myself logging onto my account via my phone and ipad at any spare moment. It's quite unhealthy really, but I cant resist looking through everyone's boards and repinning images I find inspriring! If you haven't jumped on the Pinterest bandwagon yet, then why not? The perfect companion on your commute to work, or something to keep you occupied while the other half is watching the football. You can follow my boards here. Do leave your profile links below so I can have a nose at your boards! 2. Two tone Pointed Flats. Just a couple of items that have caught my eye this week that I thought I would share with you! I was recently sent a couple of John Frieda hair products to road test. Being someone who uses heat on their hair far too often (I should really have some no heat days!) the Full repair Shampoo* & Conditioner* were a welcome addition to my morning routine. The Full repair ranged is aimed at hair that has been damaged from excessive use of appliances or colouring. So if you're like me and use a hair dryer daily, alongside a curler or straightener this could be the range for you. I've been using the products for a couple of weeks now and I can tell you I've seen an improvement with the way it looks and feels. I'm onto a winner with these! It sounds silly, but you know when your lathering up a shampoo through your locks and you can just tell, that your hair is getting a deep clean.. That is what I get when I use this particular shampoo. Both product contain Inca Inchi oil, which is meant to penetrate the hair & repair any damage caused by heat (styling) or colouring. Consistency wise, it is just like any other shampoo, but it did lather really well. I always go for the 2 shampoo, 1 condition routine when it comes to washing my hair! This meant that I didn't use as much product as I would normally, the bottle will last me a little longer than usual which is a nice little bonus. The first thing that struck me as a bit strange was the consistency of this conditioner. Being that it is a repairing conditioner I would have thought it would have been quite thick, however I was left a little disappointed when I discovered its thinner than the shampoo! That is personal preference though, I just always assume repairing conditioners should be really thick and masque like! That aside, it is a nice conditioner, I use a wide toothed comb to evenly distribute it throughout my hair, leave it for a few minutes and rinse. Since adding these two products to my morning routine, I've found that after towel drying my hair is a lot less tangled than usual! I still have to reach for my Denman Tangle Tamer brush (review here) but I don't have to fight with my hair to get all the knots out! Once dried (on a low heat setting may I add) my hair is visibly a lot shinier and looking healthy. I have to admit my ends still look a bit damaged, however this could simply be because I haven't had a trim since January! To combat this little annoyance, I have also been using the Full Repair Repairing Oil Elixr* This also includes Inca Inchi oil, so it works well alongside the shampoo & conditioner duo. Using this oil after washing, it helps to seal the hair cuticles making my hair smoother and look healthier. This is perfect for now, while I'm trying to conceal my split ends. However once I finally get my haircut I will continue to use the oil is it helps reduce further breakage and improve the strength of your hair. This particular oil isnt greasy at all, its very lightweight and doesn't leave your ends feeling weighed down at all! I really like the pump despenser as you can control the amount of product you want to use! Nothing worse then pouring out too much hair oil! Overall I am really pleased with this range & I can hand on heart say that when I've finished these products I'll be heading over to boots to purchase the range myself. The Shampoo and conditioner both retail for £5.99 and the repairing hair oil elixr (which I think will last me a long time as you only need one pump each time!) is £9.99. So if you're wondering how to treat damaged hair then I definitely recommend this range! Have you tried anything from the John Frieda Full repair range or something from one of the other ranges they have on offer? 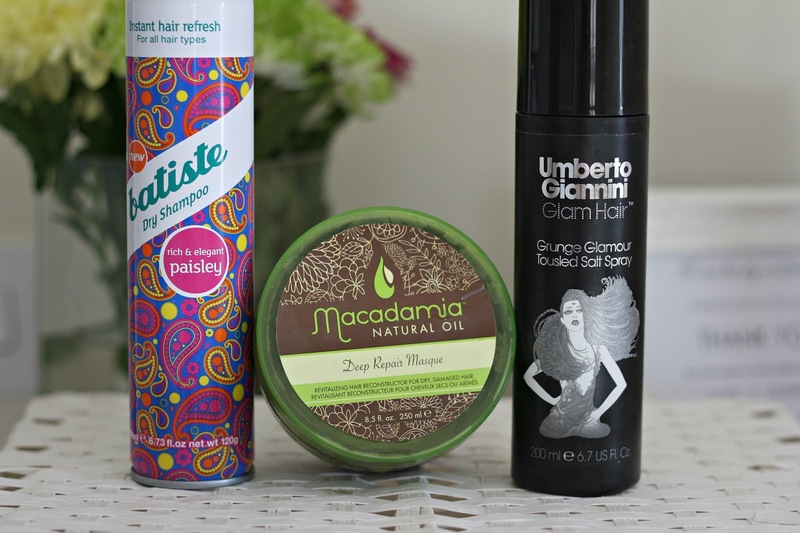 Today I thought I would share with you a couple of hair products I've been reaching for on a regular basis recently. Firstly we have the ever popular Batiste dry shampoo. 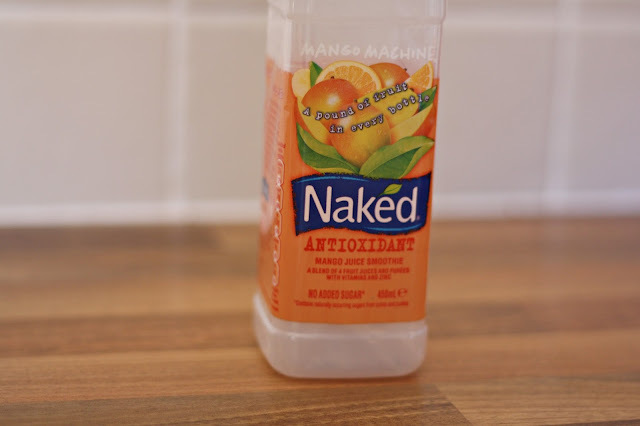 I use this for in-between wash days and also when my hair needs a bit more of an oomph! I usually opt for the Tropical scent, but its always nice to mix things up a bit and try something new! I've tried other brands of dry shampoo, but I always revert back to Batsite. It never lets me down! I really like that it comes in a variety of scents so you can stick with your favourite or change things up and try something different when you need to repurchase! My hair is in desperate need for a cut and colour, so to give it a bit of a lift I've been using the Macadamia deep repair masque* once a week. It always leaves my hair feeling silky smooth and managable. I simply take a handful of the masque (about a golfball size) and run it though my hair with a wide tooth comb. Leave it for 10 minutes and rinse. I usually have this little pamper on a sunday so my hair feels nourished and looks shiny for the rest of the week! Back when I was blonde, I ALWAYS used salt sprays to give me that surfer babe look, however as a brunette I stopped doing it as often. To mix it up a bit more I've been using the Umberto Giannini grunge glamour toussled salt spray in my hair after towel drying. I just spritz it throughout the lengths to give my hair a bit of texture, and leave to dry. I'm left with a mix match of waves with a hint of the bed head look! What hair products have you been using recently? John Ward Silk Protein Masque Review. I think my sister and I have started a birthday tradition between the two of us. For her birthday I have got into the habit of gifting her something from Ted Baker, and now she is doing the same. 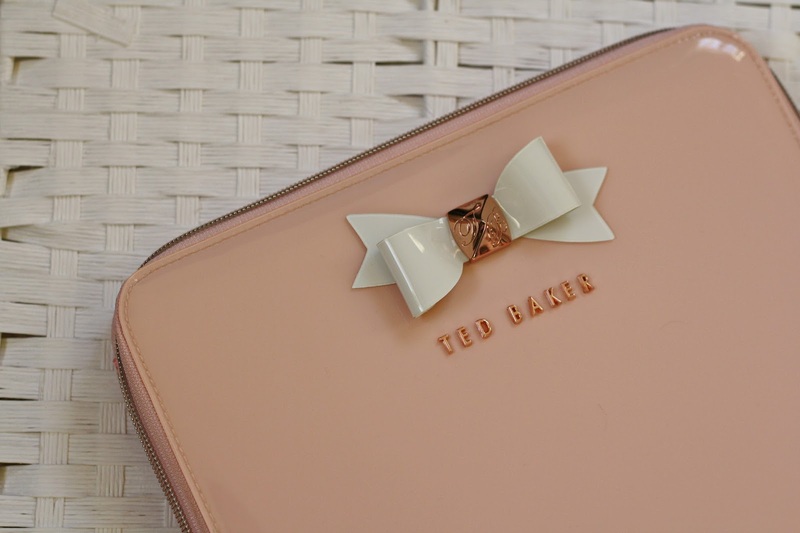 For my birthday this year she bought me a pale pink Ted Baker ipad case. Previously I had been housing my ipad in a cheap blue case I bought from Ebay, but lets be honest, it wasn't the prettiest of cases, so I was happy to receive this as a gift from her! I have the newest (big) ipad, which is the larger sized version, it fits snuggly in the case without moving around too much. It's nice to know that my tablet will be nice and secure while I'm transporting it around. There is also a small pocket in the case which has come in handy too as Tom kindly bought me a kindle for my birthday. So for the time being it lives in there while I go on the hunt for a cute case of it's own. If any of you have a kindle and have managed to find a pretty case for it, then do let me know in the comments where I can buy one from! If you are looking for a new case for your tablet I would highly recommend these. They are sturdy, keep your tablet secure. They can be wiped clean of any spillages due to being patent. Which is always a plus if you are out sunbathing in the garden with a drink catching up on blogs and you accidently have a spillage! I've seen a couple of these cases pop up in the summer sales so, it is probably best to shop around to see if you can get a good deal! Currently Loving cute Ipad Cases. At the weekend I had a little catch up with my friend Sarah. Whenever we meet up it always involves some sort of yummy food and this time around was no exception. We headed to the pub which is literally around the corner from where I live. I opted for a strawberry Cider and portion of fish & chips (My go to pub grub!) We sat in the pub garden, and despite having to fend of a number of wasps (I cannot wait till those beasts disappear for the autumn!) we had a nice catch up! We originally planned to head to Guildford for a day out shopping, but due to being too eager on payday and spending a bit too much, we've scheduled that trip for a later date! After we decided to walk along the canal and snap some outfit photos. It was actually quite warm, so I decided to be brave and get my legs out. I usually reserve this shirt for work, but I thought Id mix it up a bit and pair it with a bit of denim for a change! It has cut out details on the neckline that make it a little different! It is from Glamorous but I did get it over a year ago now so I don't think they stock it anymore. Worth a look to see what other bits they have though! I used my new zara bag too, I do love it, I also realised since blogging about it last week, that the front suede section is actually a pocket too. Winner! I would really recommend it if you are looking for a medium sized smart messenger bag. I hope everyone has had a good week, roll on the weekend! 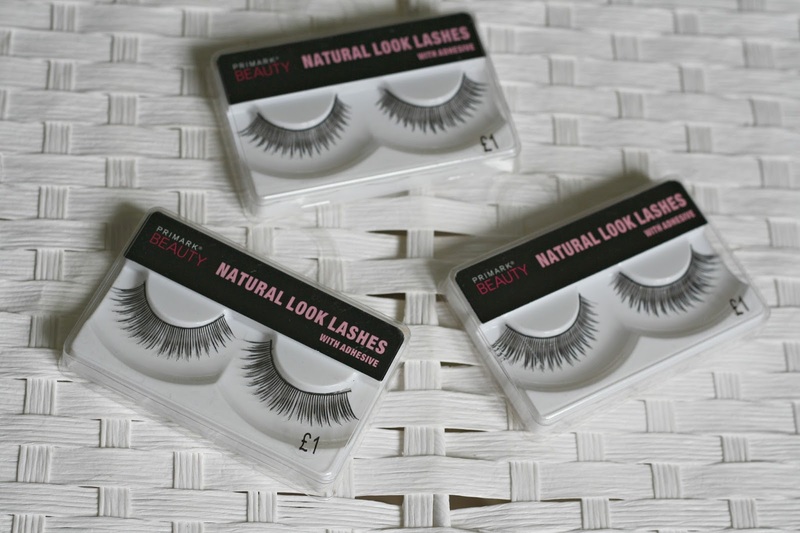 Review : Primark Beauty, Natural Look false eyelashes. I'm not a big lashes wearer. The only time I've really dabbled with them was for my Hen do & Wedding day, and that was because my sister (who wears them daily) was there to help me apply them. On both of these occassions I was complimented on my eyes, so I thought fake eyelashes may not be that bad at all. Still being a bit of a noob at applying I thought I would just go get some cheap pairs to try out for a while and then go onto other brands once I've mastered the skill. This is why I headed to Primark, at £1 a pair you cant say no, they do these Natural look false eyelashes and also a more glamorous party lashes. Perfect for someone who needs to practice! There's no point going out and spending £5+ on eyelashes if you aren't sure you are going to get along with them. Now I admit I used a different glue to the one provided with the lashes (It was one from the eyelure ones I wore on our wedding day if anyone is interested!) However, the eyelashes themselves are okay quality. They are a bit flimsy I admit, but if you just want to add a little bit of length and volume to your lashes on a daily basis for work I think these would be perfect. For me the length is perfect. I see some people wearing false eyelashes and I just think they are too long & obvious. These for me are perfect for daily wear. For now I'll stick with using these eyelashes until I perfect the skill of applying them! 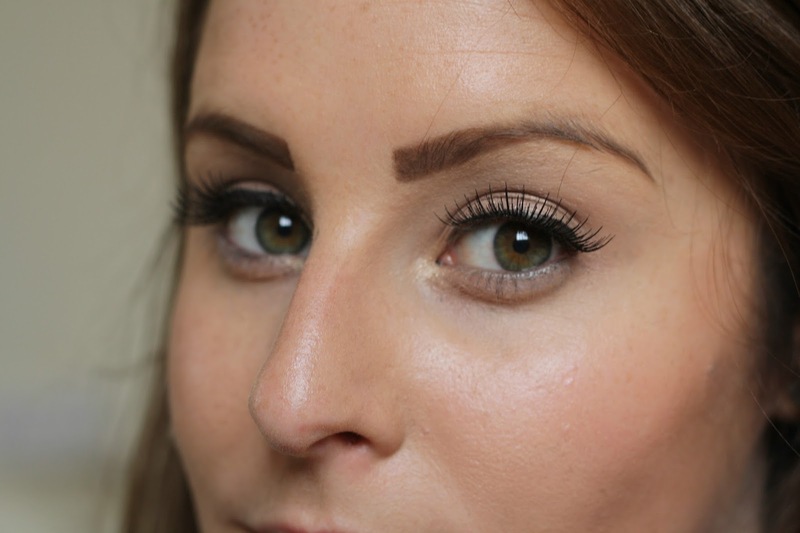 It's nice to dabble in falsies every so often to give your eyes a bit of a wow factor! Have you tried any of the lashes from Primark, or maybe you have a favourite brand you are loyal to? There have been a couple of occasions where I have wanted to draft up a blog post but not been anywhere near my laptop. Luckily I've always had my ipad to hand in those situations! Using the blogger app I can easily whip up a draft post in no time, even when my ipad isn't connected to the internet which is a bit of a bonus! That being said I did find using the touch screen to type posts slightly annoying, so after having a little browse on-line I decided to purchase a Bluetooth keyboard from Ebay. It didn't cost much and I knew it wouldn't be something I would be using THAT often, but it's nice just have it there, for those blogging emergencies! I decided to go for a white version, knowing full well that I wanted to jazz it up a little when it arrived. I had some reels of washi tape just sitting in a drawer (a spontanious purchase when strolling around sainsburys!) and after seeing this particular DIY pop up on pinterest, I thought I would give it a go myself. 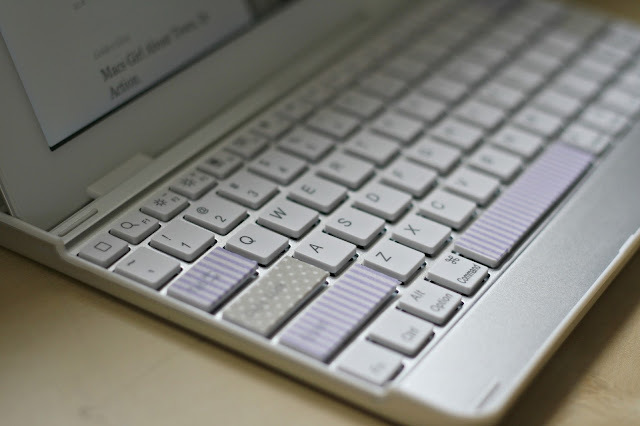 All you need is your keyboard, be it a Bluetooth one like mine, or your actual keyboard on your laptop. A couple of different patterned washi tapes and a pair of scissors. As simple as that. 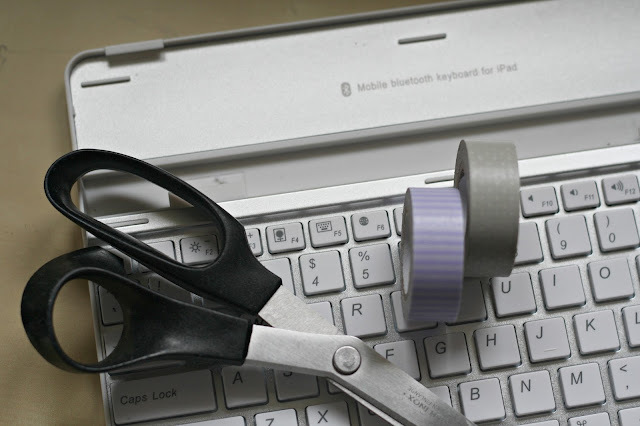 Choose the keys you want to jazz up, take your washi tape and cut to size, and then stick in place! The most simple and easy DIY ever! Now my keyboard looks a little more fancy, and I didnt need that much skill to do it! Those are the best kinds of DIY's arent they! You can get Washi tape from ebay fairly cheap. This seller has a few of my favourites.